Set at the crossroads of culture, fashion and design, Carlton Hotel Baglioni is the only hotel in Milan that boasts a pedestrian entrance from Via della Spiga, the most glamorous street. The hotel is just a stone’s throw away from Milan’s prestigious boutiques, the Duomo and La Scala. 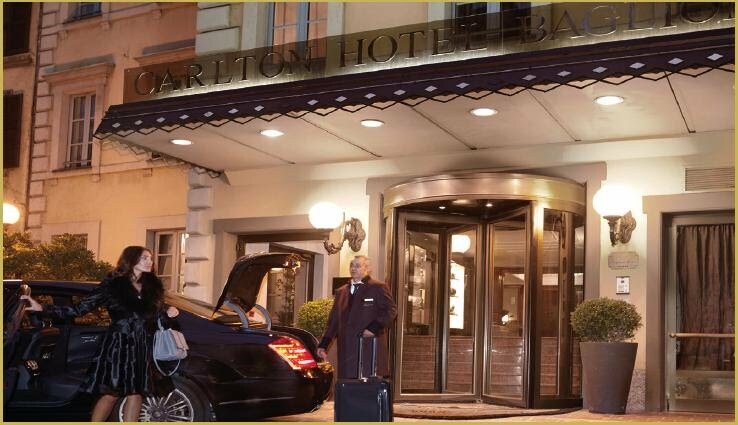 Carlton Hotel Baglioni is perfect for travellers in search of a stylish and yet welcoming atmosphere. The hotel has 87 rooms and suites, personalised with unique Italian furnishing combining classic and contemporary style. The top suite is the Montenapoleone Terrace created to offer its guests every comfort, with a large private terrace overlooking Via della Spiga. The Hotel’s historic restaurant Il Baretto is one of the most favourite meeting places for International politicians, journalists, fashion stylists and VIPs. The restaurant serves traditional Milanese dishes. A well-known stopover for those working in Milan, Caffè Baglioni is the ideal place for small meeting and top-level appointments. The hotel features the brand new Spiga 8 SPA Natura Bissé, an oasis dedicated to relaxation and the overall wellbeing of guests.